The thoughtful progression of amenities and services begins at the lobby and encompasses three levels of indoor and outdoor experiences for wellness and entertainment. "great design should be hospitable. 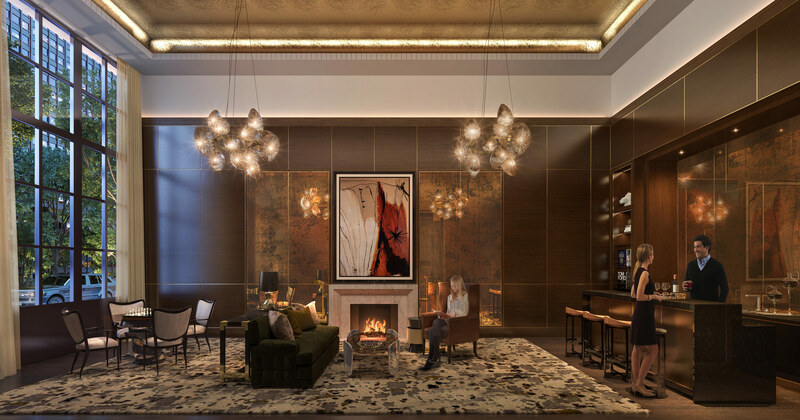 i wanted the kent to establish a new tradition on the upper east side by bringing a warm approachability to the elegantly appointed lobby and amenity spaces." A timeless antique metal and glass marquee shelters the double-height entry arrival; oversized transom windows overlook tree-lined 95th Street. 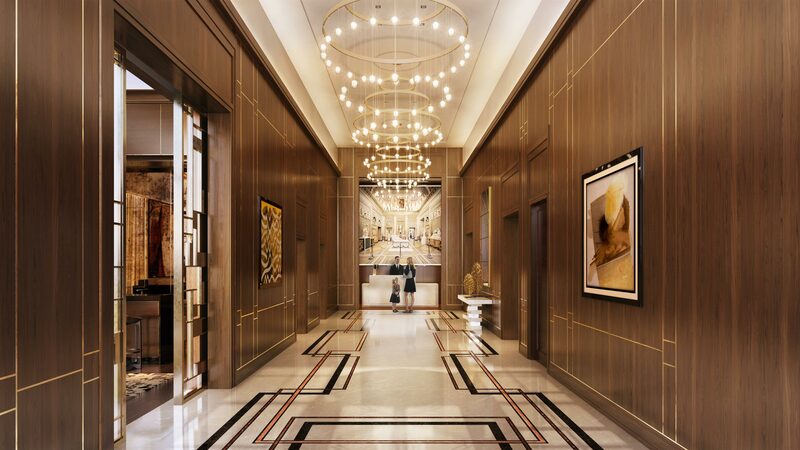 The distinctive two-story lobby is detailed with Rosewood paneled walls, etched metal inlays, marble patterned floors and custom chandeliers. A welcoming presence on tree-lined 95th Street, greeting residents, guests and assisting with packages and deliveries. Enhances The Kent Lifestyle by arranging for household and lifestyle requests. On-call to seamlessly deliver residents & strollers from a dedicated storage room. Residents can meet and greet guests, entertain visitors and socialize in this inviting parlour, adjacent to the lobby. Classic yet contemporary, the space is finished with warm wood paneling, gold leaf ceilings, antique mirrors, fireplace and a marble-topped bar. 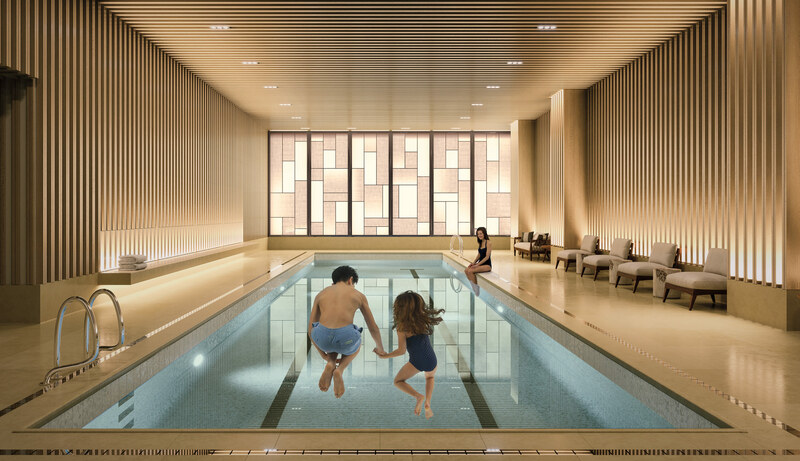 The luminous 55’ indoor heated swimming pool features a backlit glass sculptural wall, teak millwork and Finnish saunas. “Camp-in” at this interactive indoor/outdoor play experience, complete with a tree house, “campfire” and picnic table. The perfect space for relaxing or entertaining friends; designed as an extension of your home with a fireplace, billiards table, library and catering kitchen, overlooking a beautifully landscaped courtyard garden by West 8 landscape architects. Envisioned by Lenny Kravitz. 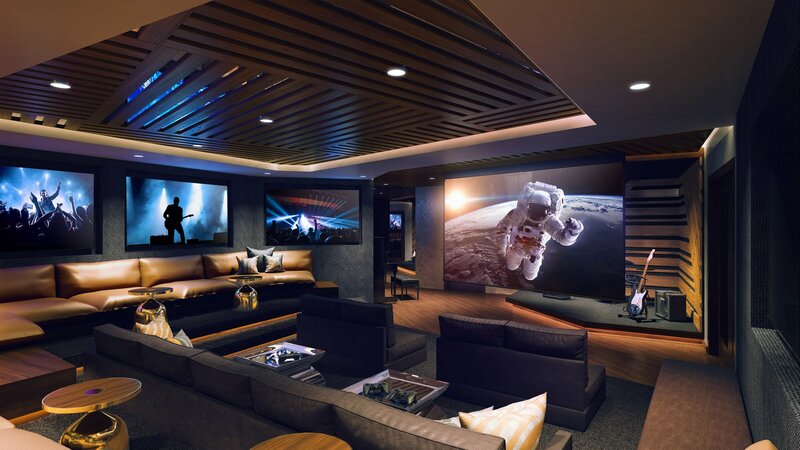 This multi-sensory retreat provides a studio space to practice your concerto or screen a motion picture. 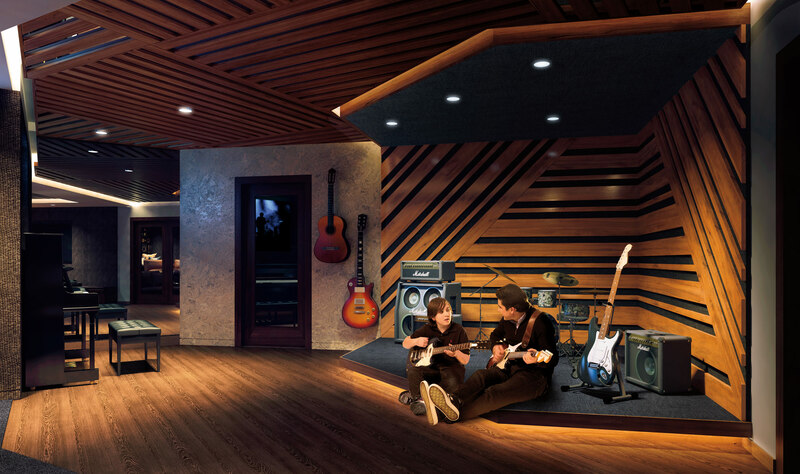 It includes a performance space and stage, dance floor, and multiple gaming consoles.